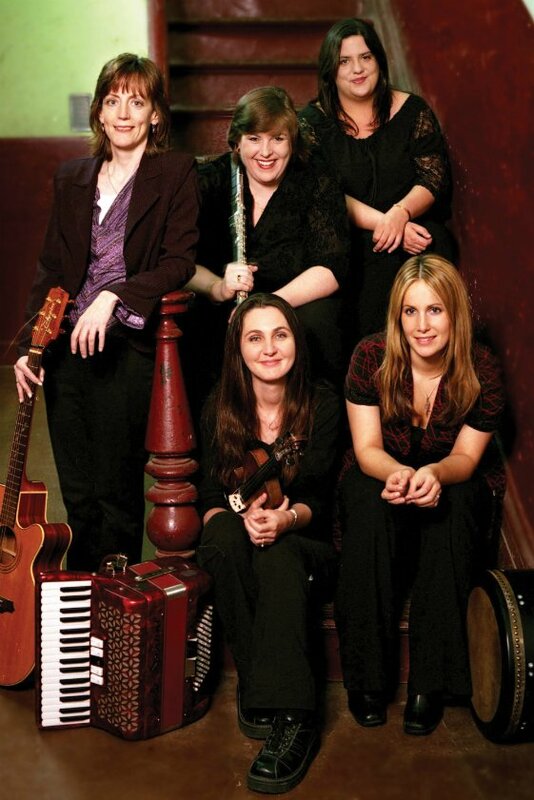 “It is simply impossible to imagine an audience that wouldn’t enjoy what they do,” says the Boston Globe speaking of Cherish the Ladies, the long-running, Grammy-nominated, Irish-American super group that formed in New York City in 1985 to celebrate the rise of women in what had been a male-dominated Irish music scene and has since toured the world, played the White House and the Olympics, recorded 17 outstanding albums including a live recording, “An Irish Homecoming,” which was simultaneously videotaped for a Public Television Special that aired across America and won an Emmy. Under the leadership of All-Ireland flute and whistle champion Joanie Madden, named by The Irish Voice Newspaper as one of the Top 25 most influential Irish Americans of the past quarter century, these ladies create an evening that includes a spectacular blend of virtuoso instrumental talents, beautiful vocals, captivating arrangements, and stunning step dancing. Their continued success as one of the top Celtic groups in the world is due to the ensembles ability to take the best of Irish traditional music and dance and put it forth in an immensely entertaining show. The New York Times calls their music “passionate, tender, and rambunctious,” and the Washington Post praises their “astonishing array of virtuosity.” They’ve won recognition as the BBC’s Best Musical Group of the Year and were named Top North American Celtic Group at the Irish Music Awards and not to mention having a street named after them in the Bronx! They’ve collaborated with such musicians as The Boston Pops, The Clancy Brothers, the Chieftains, Vince Gill, Nanci Griffith, Pete Seeger, Don Henley, Arlo Guthrie and Maura O’Connell as well as being the featured soloist with over 250 nights of symphony orchestras.